IMPORTANT: HOBO data loggers require HOBOware software (USB interface cable included w/CD purchase). See compatible items below. 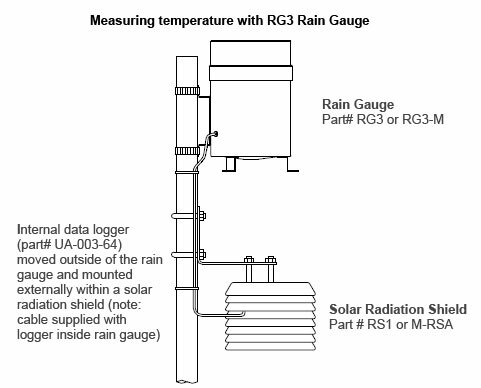 This logger collects time-stamped rainfall measurements as well as accurate temperature readings. 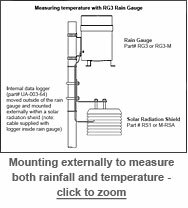 The Data Logging Rain Gauge comes with a tipping bucket and can collect up to 30,000 measurements. Versions for both metric and English measurements are available.